The S1Pro is a Bluetooth® speaker, a PA system and just what you need to turn up the fun at parties, outdoor get-togethers and all those times that deserve better sound. Stream wirelessly from a mobile device or plug in a microphone or even your favourite musical instrument. Ready to Perform. Whenever and wherever you are. It has a lightweight, rugged enclosure with a built-in handle, so it’s easy to carry and transport just about anywhere. And once you get there, the optional lithium-ion rechargeable battery lets you perform for hours. Full-featured channels 1&2, combo-XLR inputs, dedicated ToneMatch, tone controls and reverb. Bluetooth steaming or 3.5mm input on channel 3. Dedicated line input. Expand to other systems. Weighing about 15 lbs (6.8 kg), the rugged S1 Pro is designed to transport effortlessly from the car to the gig. 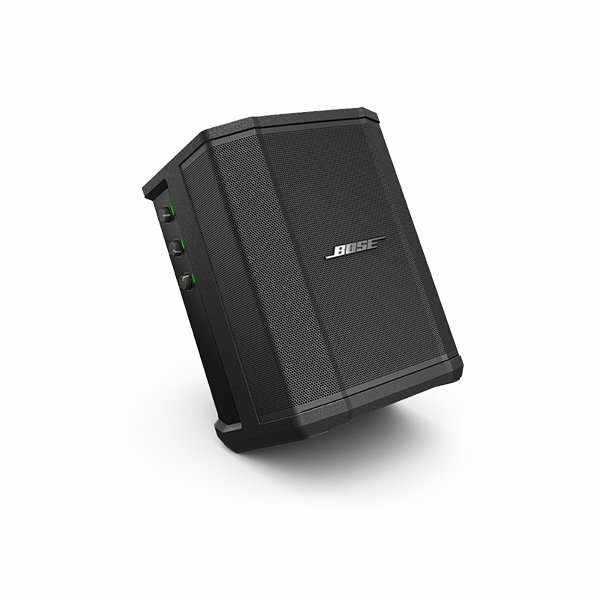 Perform for hours nearly anywhere with the optional rechargeable lithium-ion battery. Stow the battery in its dedicated compartment and use the Quick Charge function when you need to recharge in a hurry. Built-in sensors and multiple aiming positions make sure you have optimal sound in any nearly position—on the floor, on a table or even mounted on a speaker stand. And Auto EQ makes sure you’re sounding your best.